A lifelong passion for motivating people to be successful. The question I am always asked. “Am I a millionaire?” Yes I became an millionaire in 2014. I am more excited by the transformation it takes, than the actual money, or I would have more! 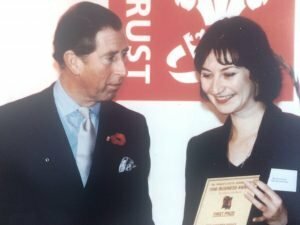 My business career started with The Prince’s Trust, a charity supporting young people into business. I borrowed £3500, aged 23 and set up a business, hiring out tablecloths for events. After 7 years, my team and I won ‘Best Customer Service in the UK’ award presented by HRH Prince of Wales . My life changing moment was during a personal development course. I realised I could think differently about my business. My income increased from £80 to £400 a week. (1996) Soon after I bought my first home. I created my money coaching session to answer all my friends’ questions of “how did you do that?” Many of whom are millionaires themselves now. I sold my business in 2000 and ran both a property business and music business for a couple of years. My heart wasn’t in it. I qualified as a business adviser and returned to The Prince’s Trust as a paid adviser. I loved it. Every day up to 8 clients would come in, with a diverse range of ideas. Every client I helped complete a business plan, was awarded funding and started their business journey. In my enthusiasm, I completed 5 years’ targets in one year. Sadly funding ends. 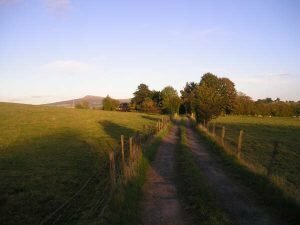 I moved to Ludlow, Shropshire, to be in nature and close to family. Working as freelance business adviser, on contracts from the Job Centre. I explored Wales and the West Midlands, enjoying the countryside and the people. At this stage, I met husband. We lived quietly in a secluded cottage for a few years with our dogs, simply enjoying life. 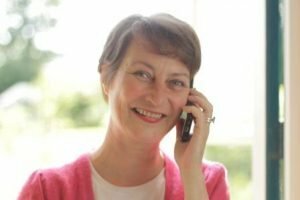 Then I saw people charging thousands for money coaching and I was horrified! What happened to fairness, ethics and results? Some coaches do know what they are talking about and get great results, but not all. I spent a couple of years researching ideas but nothing worked properly. Ouch! In the end I re-did money coaching on myself, with the help of a friend. I discovered. I thought I couldn’t be happily married AND very successful in business. Which is obviously not true! Now I have cleared that block and found my business confidence again, I created this website. I bring a fresh perspective and more money, to people in business. # times a day, I say what I think. Caring, yes, tactful no.